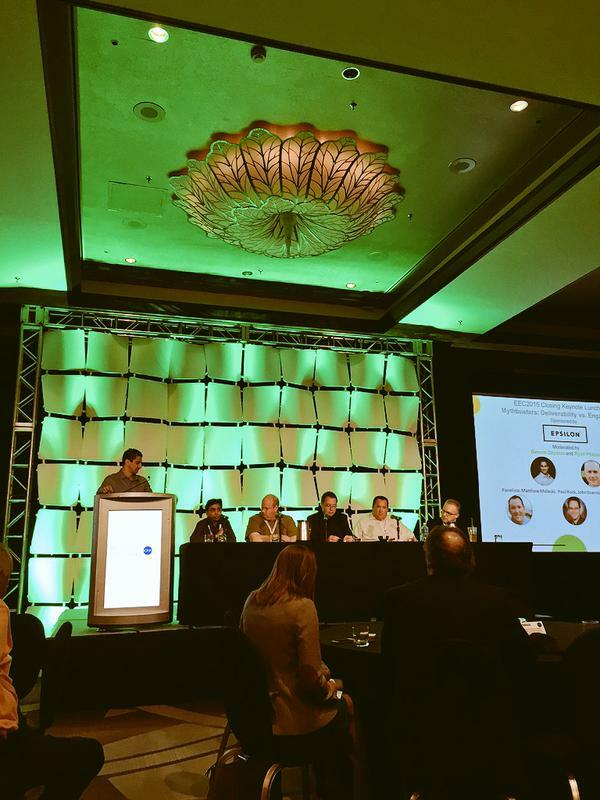 I’m in Miami wrapping up #EEC15, The Email Evolution Conference. The closing Keynote Panel Discussion organized by Dennis Dayman and Ryan Phelan was worth the price of admission; the panel they organized featured key postmaster/abuse personal from Comcast, Hotmail/Outlook, AOL and Gmail. Although regular fixtures at M3AAWG meetings, the folks in this room don’t normally have a chance to hear first hand how an ISP measures activity within the inbox and responds to emails as they arrive. There were furrowed brows, heads nodding and a plethora of other emotions as questions were asked, assertions made, accusations levied and laughter enjoyed by all. One of the most important things I took away from this session and I think you may find this valuable too are the signals that most ISPs read as good vs. bad. Here’s a cheat sheet and take away that you can help you better understand how engagement, which was called ‘a philosophical principle rather than a secret sauce’, is measured by a mailbox provider or an ISP. One of the major disconnects I’ve seen between senders and receivers is the idea that engagement is a single measure. Quite the contrary, senders are not privy to the metrics that receivers are and vice versa, there may be some attribution, analysis through web behavioral data, that leads to a very different picture of engagement on the sender side. This is the fundamental conundrum that I think is best represented by the metric system vs. the english system. Both are valid (well one’s more practical than the other), both are capable of measuring the same distance but use different units. One doesn’t invalidate the other, hence the philosophical nature of the construct. Thankfully there are more positive signals that inform engagement at a mailbox provider than negative ones. One thing to consider: I’ve seen a number of senders instruct their recipients not to reply to an email, that the email box will not be checked or monitored. Given that replying to emails is a positive signal that will ultimately improve a sender’s engagement, leading to better reputation and finally deliverability, it might be worthwhile to make the sending addresses accept replies and even review them for customer correspondence. Always good to hear from the receiver side.